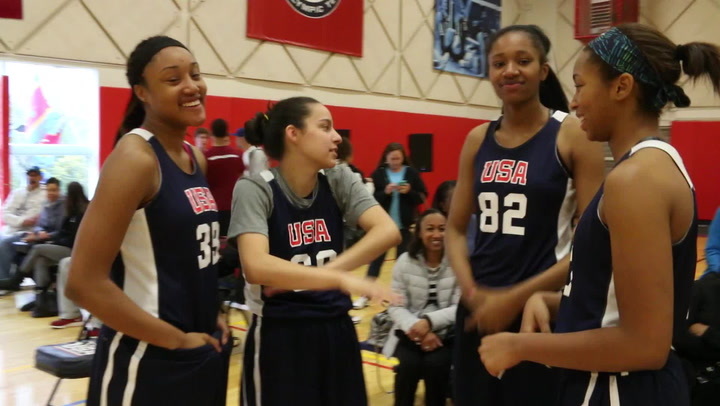 The 2014 USA Basketball 3x3 U18 National Championship Tournaments concluded Sunday at the U.S. Olympic Training Center in Colorado Springs, Colorado, and as the winner of the women’s tournament, Defend (8-0) earned the right to represent the USA at the 2014 Youth Olympic Games from Aug. 16-28 in Nanjing, China, after downing Southern Stars (5-3) 21-14 in the championship game and finishing the weekend undefeated. Playing alongside Collier this weekend were teammates,De’Janae Boykin (Springdale, Md. ), Natalie Chou (Plano, Texas) and Arike Ogunbowale (Milwaukee, Wis.). Wrapping up an 8-0 record, Braxton Blackwell (Nashville, Tenn.), Tim Delaney (Mullica Hill, N.J.), Charles Matthews (Chicago, Ill.) and Kipper Nichols (Lakewood, Ohio) of Legit won the men’s tournament after defeating Washington (5-2) 21-18 in the men’s final. The weekend also included skills competitions on Friday that included a 3-point shooting contest, a skills challenge and a partner hot shot. On the women’s side, Chou took the 3-point shooting crown, followed by Kayla Reyna (Gervais, Ore.) of Grind Repeat and Ciara Fields (El Paso, Texas) of Elite Force. Ogunbowale claimed the skills challenge with the fastest time. Shakayla Thomas (Sylacauga, Ala.) of Southern Stars and Takiya-Lopez Waste (El Paso, Texas) of Elite Force finished second and third, respectively. 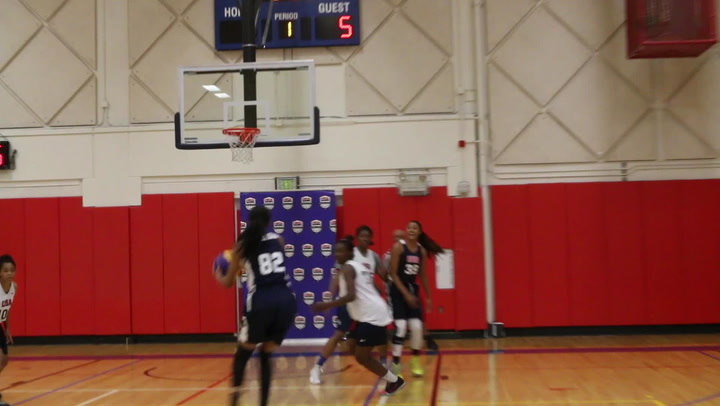 Chassity Carter (Dickson, Tenn.) and teammateShaquera Wade (Hunstville, Ala.), from Southern Stars, were victorious in the hotshot, partner competition, while Carina Wilson (Greeley, Colo.) and Courtney Lemmings (Greeley, Colo.) of Basketball at its Best took second place. Aaron Embry (San Antonio, Texas) of Texas Ballers claimed the 3-point shooting title on the men’s side.Charlie Taylor III (Smyrna, Del.) of Diamond State Stars took second, and Carlos C’DeBaca (Albuquerque, N.M.) of Burque Buckets earned third. The skills challenge winner was Gibson Berryhill (Boise, Idaho) of G-Unit, while Andrew Ekmark (Phoenix, Ariz.) of Arizona Warriors and Lorenzo Vigil (Albuquerque, N.M.) of Burque Buckets followed behind. Finally, the hot shot partner competition saw the duo of Wyatt Lowell (Gilbert, Ariz.) and Brock Gardner (Gilbert, Ariz.) of Arizona Warriors take first place, as Zach Williams (Albuquerque, N.M.) and Dylan Abbott (Albuquerque, N.M.) of Burque Buckets finished in second place. The basketball competition at the 2014 Youth Olympic Games is a 3x3 format organized by the International Olympic Committee and FIBA. 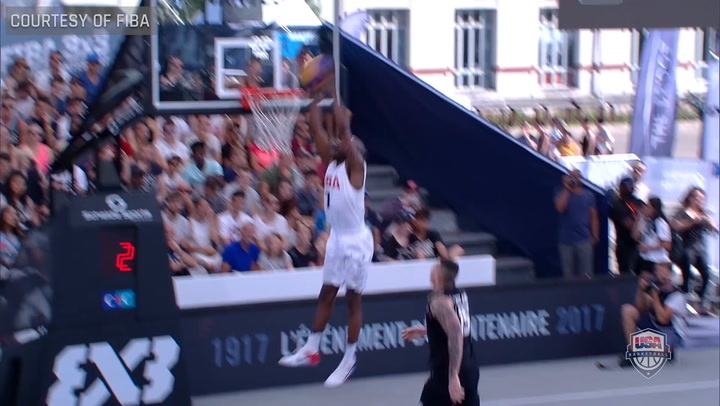 The 2014 Youth Olympic Games is expected to include 20 men’s teams and 20 women’s teams, as well as a dunk contest for men and a shootout for women. Each team will be comprised of four players, and athletes eligible for this competition must have been born between Jan. 1, 1996 and Dec. 31, 1997. All nominations to the 2014 U.S. Youth Olympic Team are subject to approval by the United States Olympic Committee. For the women’s Youth Olympic Games basketball competition, China is qualified as the host country, as are the top three finishing teams from the 2013 FIBA 3x3 U18 World Championship for Women: USA (gold), Estonia (silver) and Spain (bronze), and the women’s 2013 FIBA 3x3 World Tour: Slovenia (gold), Serbia (silver) and Venezuela (bronze). The men’s Youth Olympic Games basketball competition includes host China, as well as the top three teams from the 2013 FIBA 3x3 U18 World Championship for Men: Argentina (gold), France (silver) and Russia (bronze); and the top three finishing teams from the men’s 2013 FIBA 3x3 World Tour: Slovenia (gold), Serbia (silver) and Venezuela (bronze). The United States men’s team may qualify among the 13 additional nations that will earn a berth into the Youth Olympic Games based on their respective national federation 3x3 ranking. FIBA will announce on June 8, 2014, the 13 additional teams for both the men’s and women’s tournaments. 2010 was the inaugural Youth Olympic Games and the event is scheduled to be held every four years (2014, 2018, etc.). The 2010 USA women’s team, which featured Briyona Canty, Andraya Carter, Amber Hensonand Kiah Stokes, finished with a 6-1 record and in possession of the bronze medal after being edged by Australia 25-23 in the semifinals. The squad bounced back from that loss to eclipse Canada 34-16 in the bronze medal game. The 2010 USA men’s team, which featured K.C. Caudill, Angelo Chol, Sterling Gibbs and Brandan Kearney, finished with a 5-2 record and in fourth place after falling to Greece 34-25 in the bronze medal game. Based in Colorado Springs, Colo., USA Basketball, chaired by Jerry Colangelo, is a nonprofit organization and the national governing body for men’s and women’s basketball in the United States. As the recognized governing body for basketball in the U.S. by the International Basketball Federation (FIBA) and the United States Olympic Committee (USOC), USA Basketball is responsible for the selection, training and fielding of USA teams that compete in FIBA-sponsored international competitions, as well as for some national competitions, and for the development of youth basketball initiatives that address player development, coach education and safety. USA teams are the current men’s and women’s champions in the Olympics; men’s and women’s FIBA World Championships (Basketball World Cup); men’s and women’s FIBA U19 and U17 World Championships; men’s and women’s U18 and U16 FIBA Americas Championships; Nike Hoop Summit; the FIBA 3x3 Women’s World Championship; and the FIBA 3x3 Women’s U18 World Championship. USA Basketball currently ranks No. 1 in all five of FIBA’s world-ranking categories, including combined, men’s, women’s, boys and girls. 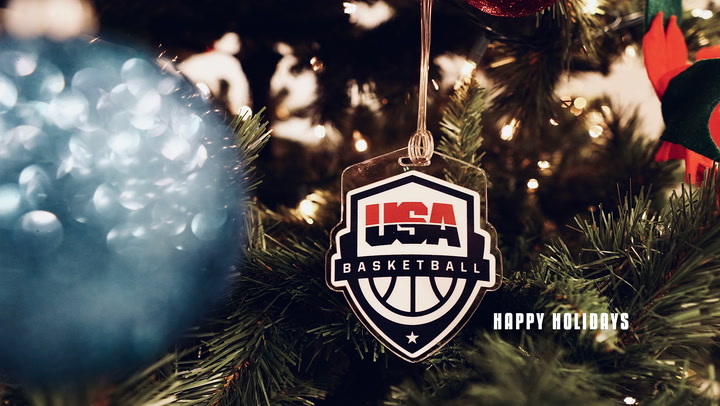 For further information about USA Basketball, go to the official Web site of USA Basketball at http://www.usab.com and connect with us on facebook.com/usabasketball, twitter.com/usabasketball, plus.google.com/+usabasketball, instagram.com/usabasketball and youtube.com/usab.